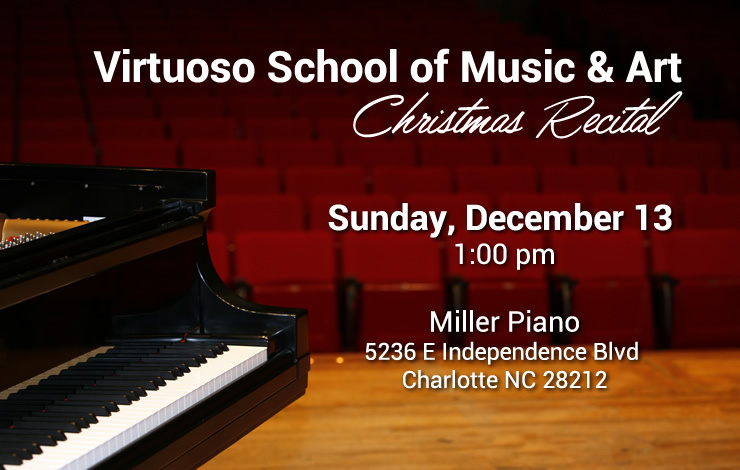 I am very excited about our up coming Christmas recital! Please mark your calendars. After the recital, we will have a little get together to celebrate. "Virtuoso" School of Music and Art will be providing cake and juice. I am expecting enjoyable performances by all at our recital and good progress shown by each student . Recitals are always both rewarding and fun!